1 1/2'' L.E.D. 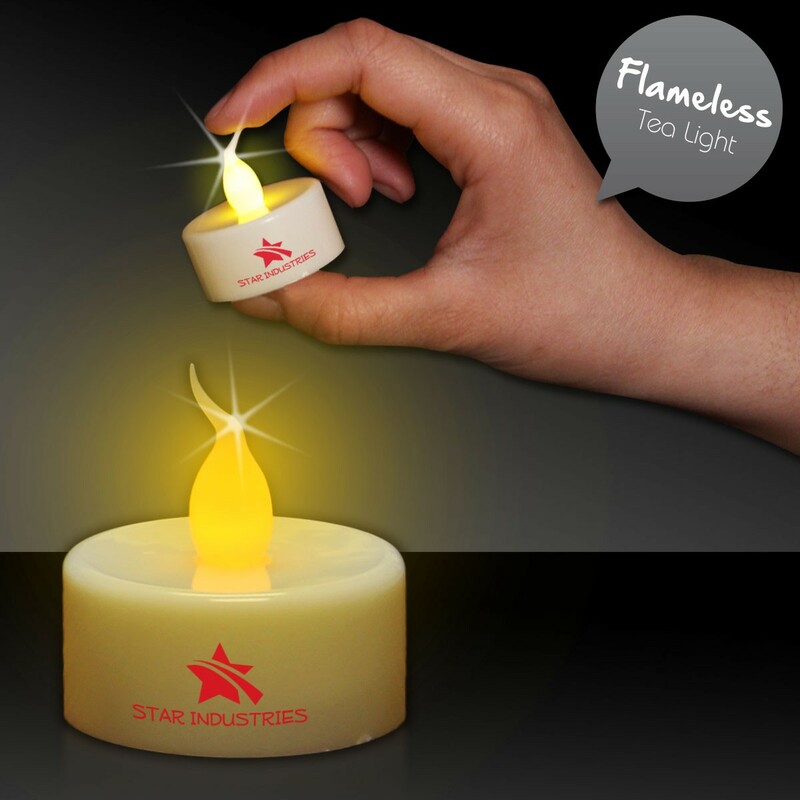 Tea Light Candle. 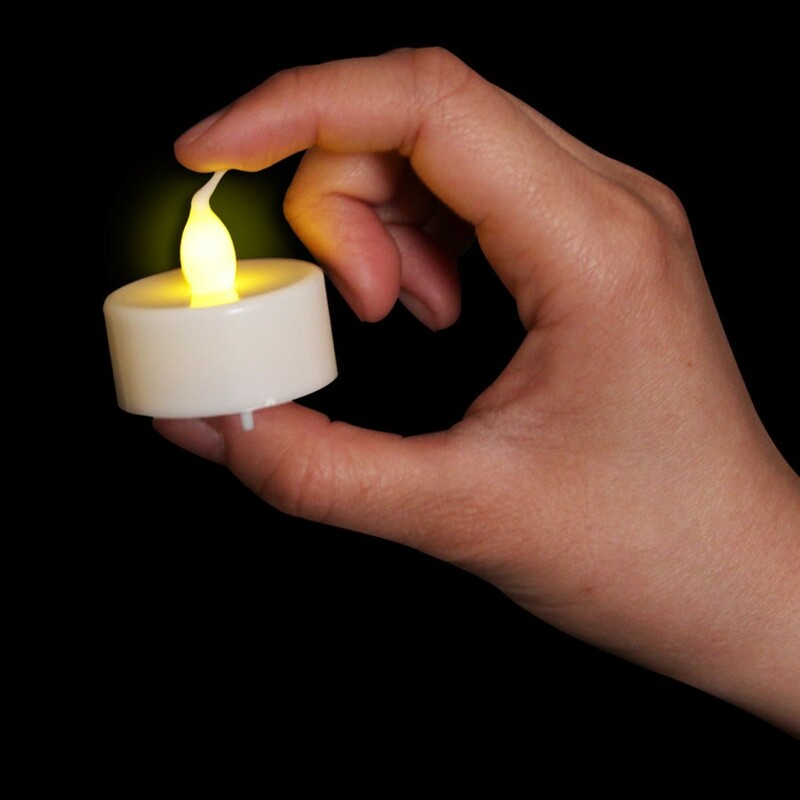 Fabulous products for Bars, Night Clubs or Restaurants.Looks like a real candle, acts like a real candle but is safer than a real candle. Batteries included and installed. 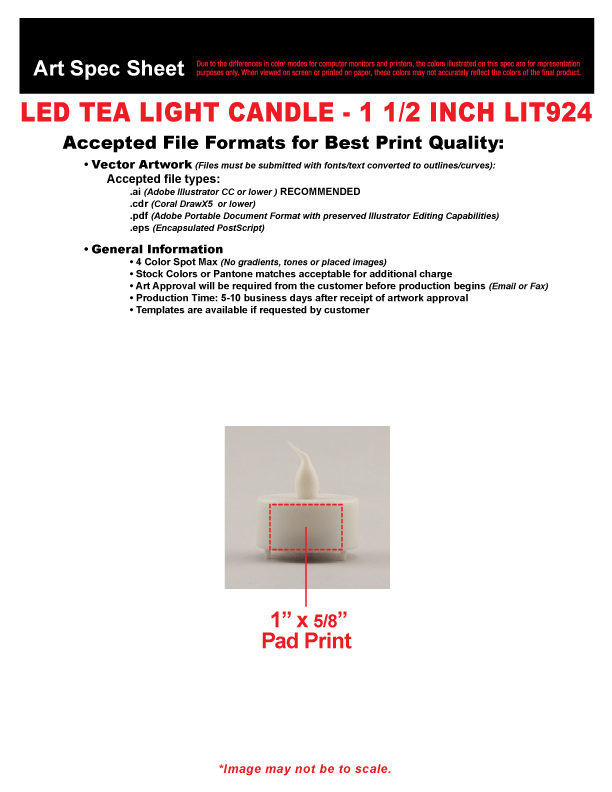 Price includes 1 color imprint in one location (minimum of 192 pieces on the Candle Holder).